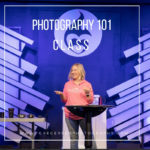 The Photography 101 Class is taught once a year by Melissa Gregersen in Kalamazoo, MI. This is a recording of the class as she teaches the basics of photography to help people get out of the auto mode with their DSLR camera. 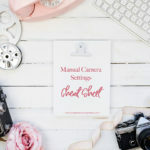 This class covers manual camera settings such as focus points, aperture, shutter speed, ISO and white balance concepts and where to find them on your camera. Melissa uses a Canon brand camera to demonstrate finding the settings. She will also cover lighting and basic composition concepts in this class so that you can walk away knowing how to take a well exposed image using your manual settings! Learning manual setting on cameras can get confusing, this cheat sheet was designed to be an easy reference to remember the range and settings of ISO, APERTURE, and SHUTTER SPEED and get the best exposed picture as possible. We suggest you print off the PDF and keep it in your camera bag for easy reference when you are out and about with your camera.